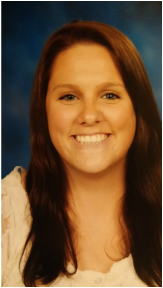 My name is Emily Nolen and I am a 1st and 2nd grade looping teacher at Walworth School. This is my 6th year of teaching at Walworth and I love being a Wildcat! In addition to teaching, I am a member of our school's CommUNITY Connections committee, Science curriculum team, and technology advisory team. I also am a Varsity Assistant Coach for the Big Foot Varsity Volleyball team. I graduated from Harvard High School and attended Carthage College in Kenosha, WI and earned a Bachelor's Degree in Elementary Education. I am currently pursuing a Master's Degree in Math Intervention from UW-Oshkosh.